As we are currently neck-deep in rugby World Cup action and as I am a proud Irish rugby supporter I thought it fitting to write about one of Ireland’s most renowned rugby stars. John Hayes is a man who only started playing rugby when he was eighteen years old and after a two year long stretch in New Zealand turned him into a 20 stone prop-forward with a new understanding for rugby and by the time he came home John was set to dive back into club rugby in Ireland. The Bull tells the story of a man and his undying love for the sport. Playing 212 times for Munster, 105 times for his country and was the first Irish player to reach a centenary of caps. John Hayes tells you what it was like winning four triple crowns, two Heineken cups and the first grand slam in 62 years. 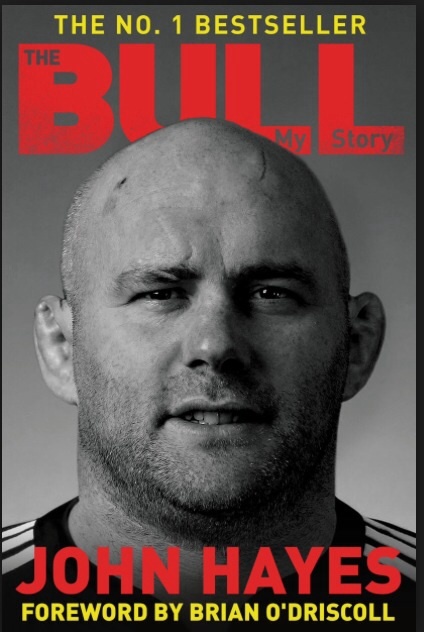 Written with the aid of Tommy Colon this book is a must read for rugby fans everywhere. TEEN RATING: An amazing book that shows you what you can achieve with hard work and determination. Next Next post: Lockwood and Co. The Hallow Boy by Jonathan Stroud.